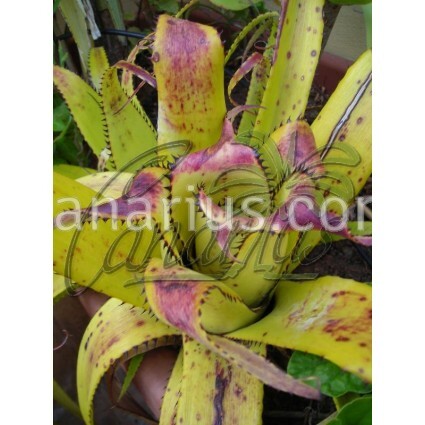 Attractive hardy bromeliad with golden-green leaves and brown-black spines. Aechmea triangularis flowers in late spring, with red bracts and blue flowers. It tolerates frost - some growers say it can take down to - 6 C (21 F). Attractive bromeliad with golden-green leaves and brow-black spines.<em >Aechmea triangularisis native to Espírito Santo, in South East of Brazil. It produces an attractive inflorescence in late spring, with red bracts and blue flowers. At that moment, tips of leaves fold back forming a triangle, enhanced by dark red markings. Grow in bright sun conditions, with little or no fertilizer, to achieve more compact and colurful plants. We offer one large rooted pup of Aechmea triangularis, of 25-40 cm, able to flower in one year. We ship it worldwide. Visit our Bromeliad Section in the Web Shop and see which plants are now available for sale. 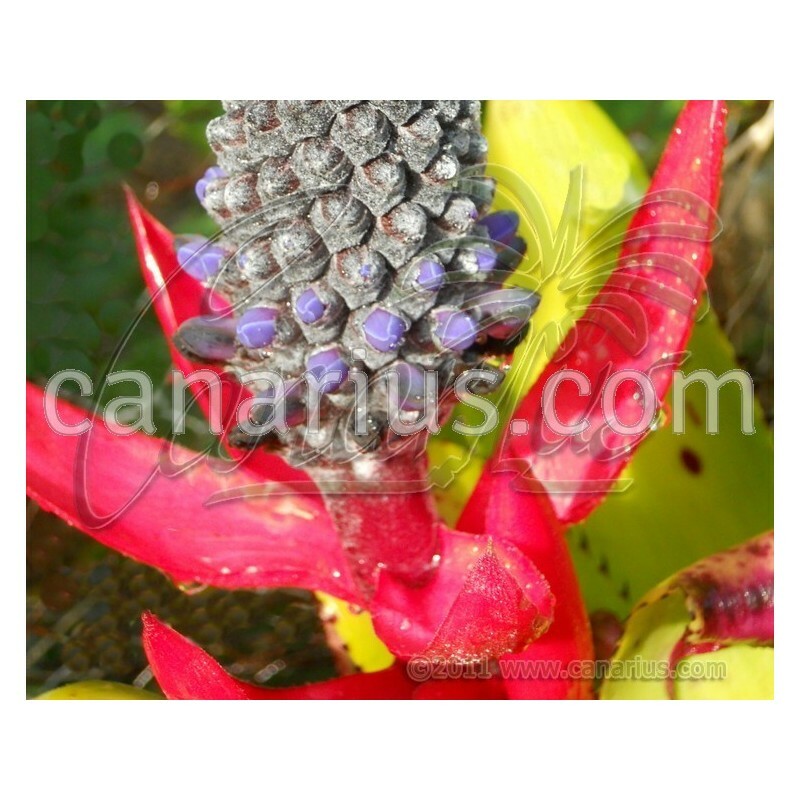 Visit the Bromeliad Section in our Blog and learn more about our bromeliads.